Let’s imagine that you are a first-time webmaster or a business owner whose company is working on a new website. You have big plans for it, you have an unlimited number of ideas for the website and you really, really wish for it to both wow users and make conversions. 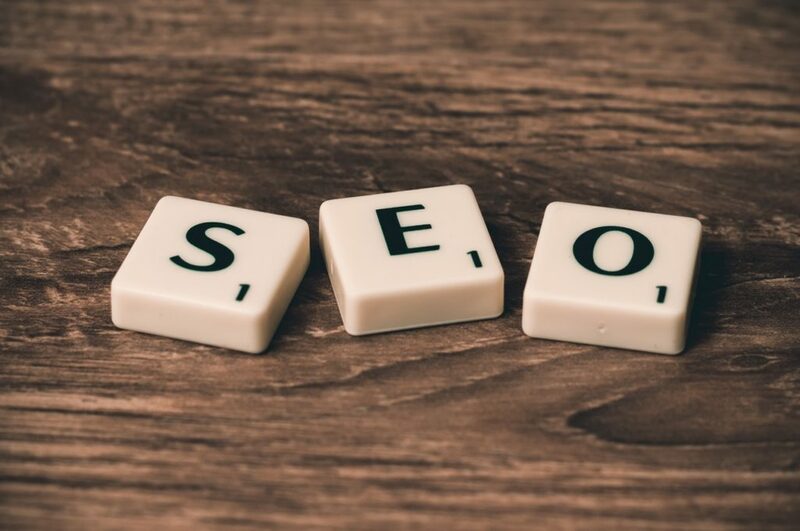 While you are working on it, you are also doing your best to get informed and you soon realize that pretty much everyone is telling you to also keep in mind that dreaded acronym, SEO. You decide to learn more about it and you soon have a rough idea of what it is and how it can help your future website. Then, you start scratching the surface and you are met by a wall of terms, data, strategies, tactics and everything else that has to do with search engine optimisation. The next thing you feel are the palms of your hands getting sweatier and your breathing becoming shallow and too fast. This whole SEO business might be more complicated than it seemed at first. Soon enough, you realize you don’t even know where to start. And really, where do you start with SEO? Before you do anything, you definitely have to read up on the whole field of SEO, if nothing else then to get a hang of the language and to give yourself a general overview of what is going on. The good news is there is no shortage of online resources on SEO, the vast majority of which are completely free. Search Engine Journal, SEMRush’s blog, Moz’s blog, the Ahrefs blog and a few other places should be enough to ease you into the whole story, while also providing you with plenty of stories on the practical application of SEO. Everything you do SEO-wise will depend on your current situation. In the introduction, we used a very dramatic scenario in which people wonder where to start with SEO. There are innumerable different situations in which you might find yourself doing the same. Perhaps you bought a business and you discovered that the company’s website dates back to 1997 and hasn’t been updated once. Perhaps you just dabbled with your website previously and you want to get serious. Perhaps another competitor has entered your market and their website is making yours slide down the list of search engine results. Before you can do anything, you have to analyze your position. For one, you will check how you are doing for the keywords you are targeting . In other words, you will be checking how your website ranks for the keywords you wish to rank high for. Sometimes, you will discover that you have been targeting the wrong keywords or that you might be better off by targeting different, if less popular ones. Ahrefs and Moz provide very useful keyword research tools that you can use to find out what people are searching for and how competitive various keywords and key phrases are. For example, you might find that a key phrase such as “affordable life insurance” is far more searched for than the key phrase “cheap life insurance”. Sometimes the competition for certain keywords will be so stiff that you will be looking for similar alternatives. Keyword research is a whole separate field and it is crucial for discovering how your website is doing. Even if you are only now launching a website, you need to know which keywords you wish to rank for. Once you have decided on the keywords you wish to target, you will be able to find out how you are standing and how you can improve your position. The next step is an SEO audit. An SEO audit is a process where you analyze how your website is doing SEO-wise by really digging deep and taking a detailed look at every little thing that can affect its search engine performance. The first thing to check (and one that gets forgotten often) is that your website is only accessible as one address. For instance, some websites will be accessible as http://yoursite.com, http://www.yoursite.com, https://yoursite.com and so on. It is important you use a 301 redirection to a single version you choose (it’s best to use the https:// version due to Google’s love of SSL enabled sites). Once you do this, you should check your home page SEO – title tags, home page meta descriptions, header tags and subheader tags. This is where you will be hitting hard on those keywords and key phrases we talked about before, making sure that the aforementioned contain those keywords while not being spammy or unnatural. Subheaders are also a great way to target the secondary keywords you will also have. Another neat trick is to use the “site:” operator in Google, where you will use “site:yoursite.com” to find all of the pages that Google has indexed from your website. Chances are that you will find more than a few pages that are just “noise”, such as tag pages, for example. It is important that you noindex, follow these pages using a tool such as Yoast for example. It is now a good idea to start checking your organic traffic and its history. There are plenty of tools for this and if you put a gun to our head, Ahrefs would be our choice. You will be getting all kinds of information on the traffic to your site and individual pages, organic searches and referring domains, all represented by graphs that will clearly show trends, as well as dips and spikes in either. You will also find out for which keywords you are doing well. For example, if you are ranking anywhere between 5th and 10th for a keyword, you are doing well and it will pay off to do more SEO for those keywords. 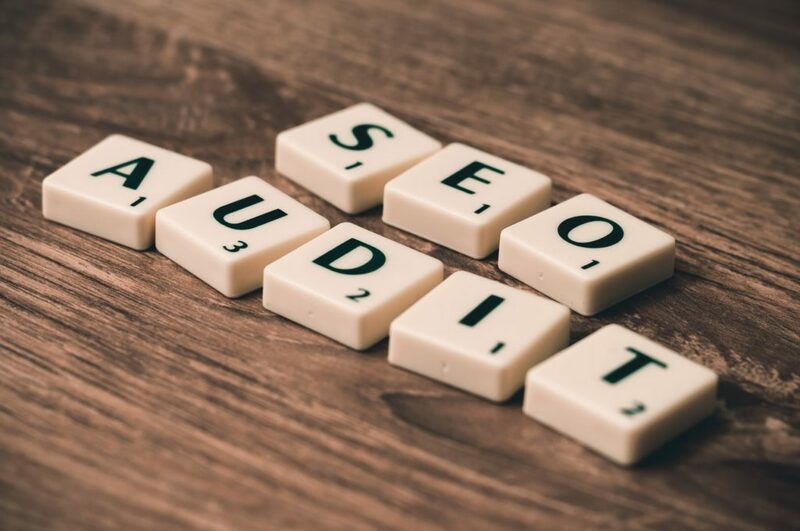 Another aspect of auditing your website for SEO is to do a content audit, making sure that all of your pages are doing something content-wise. This is especially true for blog pages where there are always duds that bring no traffic and can drag the website down. You should also make sure that you are not using a whole bunch of pages to target the same keywords over and over again. A content audit is a lot of work (manual work), but tightening it up can do wonders for your rankings. You should probably check for content duplication next, making sure everything is 100% unique. Remember, Google frowns upon duplicate content more than anything else. This is where Copyscape will do the work as you will be entering all of your URLs into the tool and it will let you know (after some time) if your content is available somewhere else on the web. Of course, if you discover duplicate content, either from another website or duplicated on your own website, make sure to correct this. Finally, you simply MUST check the loading speed of your website. There is no shortage of tools that will tell you how fast your website is loading and many of them will even recommend actions to take in order to rectify the problems. A perfect place to start is Google’s own PageSpeed Insights Tool. Speeding up your website is a separate subject (and an extensive one), but since it can affect your website’s rankings, we have to mention it. In short, speed up your website and make sure it is truly mobile-friendly. Now that you have established where you stand and how your website is ranking, it is time to get proactive. In fact, you already became active as you remedied the burning issues that your SEO audit uncovered. However, there is always more you can do. Some people would say that checking your backlink profile and getting busy with it should be just a part of the aforementioned SEO audit, but your backlink profile is so important (and quite an activity), that we decided to treat it as a separate process. The reason why backlinks are so important is that Google still hasn’t come up with a better way to determine the relevance and reputability of a website or a webpage. It is a flawed system, but it has been working for a while and it will be working for a long time to come. You will start off by checking your existing backlink portfolio and, once again, you have plenty of tools at your disposal. The important thing is that you find out which of your pages get linked to and what anchors are used to send people to your website. For the majority of websites, the anchors will be the site’s URL and the brand name, which is expected. Still, you should also have links pointing to your targeted pages with anchor text that includes your preferred keywords. A backlink portfolio should always be a balanced act, with different types of sites pointing back to your website. For business websites, these should include local directories that will list businesses in the area. If your services are not local in nature, you will also want links from national and global directories. Links from other reputable and high-ranking sites will also be desirable, especially if you can get links from .edu and .gov websites which are Google’s absolute favorites. The reason why backlinks are considered a proactive aspect of SEO is that you will want to start building new links to your site and the more creative you get, the better. The good news is there are really no limitations to what serious link building can do. One word of warning, make sure it is quality link building. Doing it the 2009-way and spamming links to your site will only cause you trouble. Guest blogging, despite what some people will want you to think, is still alive, although in a much evolved form with high-quality contributions to other people’s sites that actually provide value for their readers. Guest blogging has truly become something else over the last couple of years and while it will require much more effort and time than before, it is still a perfectly viable tactic. You will also want to publish content that people will naturally link to. This includes white papers, research and other types of resources that people will want to link to without even knowing what your company does. Another way to build links is to monitor the mentions of your brand online and make sure these mentions link to your website. This is especially useful for new, young companies that get mentioned all over the place, often without a link pointing back to their site. Broken link building is a relatively old link building tactic, but it still works. In essence, you find links in your industry that are no longer live, create content (or find existing content on your website) that would fit the broken link and ask the webmaster to replace the dead link with one to your website. You help them clean up dead links and you get a link in return. It may take a while, but it is actually a tactic on the rise as more content and more links inevitably lead to more broken links. Above everything else, the way to start your SEO on the right foot is to really consider it as just a beginning of a new phase in your online life. SEO is not something you do for a month or two and then stop. Once you start doing it, there is no turning back. You will be monitoring your results continuously, always looking for new ways to improve the performance of your site, learning about new SEO strategies and tactics and making sure you are staying ahead of your competition. SEO is always fluctuating and the moment you stop paying attention, your competitors will move ahead and you will move back. Do not go down without a fight.